If you’re doing everything right to improve your website’s customer experience and you are still having a hard time getting to that optimal space, you’re not alone. Many website owners have the same problem. Thankfully, it’s not rocket science. If you’re doing everything right to improve your website’s customer experience and you are still having a hard time getting to that optimal space, you’re not alone. Many website owners have the same problem. Thankfully, it’s not rocket science. In fact, if you look at your UI design you’d probably realize that your customers aren’t getting the best customer experience because you’re making simple UI design mistakes. And while there’s no magic to it, there are certain steps you can take to ensure you don’t make mistakes. In this post, we are going to look at some common UI design mistakes that can fail your website and see what we can learn. Let me be clear. Focusing your efforts on one screen and perfecting the UI design on it is not a bad thing. But it would be better to optimize your design for multiple screens. The reason for this is that customers have become a little more diverse. They don’t have to browse your website on a conventional desktop anymore. As a matter of fact, they might be looking at what’s new on their ride back home or at the comfort of their bed. And its usually on a much smaller screen. And if they can’t find your website on their screen, that’s it! So the best way is to ensure that you design your website for all types of screens. Images are great. That much we agree on. But the issue with images is that they have a large file size. And a large file size means slower website speeds. And even if your site looks pretty and isn’t as fast as it should be it means that you’ll have much lower conversions and a lot of people abandoning the site. And I don’t have to tell you that you don’t want that to happen. So to avoid having a slow website, you should optimize the images so that you still keep the visual quality and still have a manageable file size that won’t slow down your website. Next, think of the navigation. It’s very easy to get caught up in all the ideas we have and end up with a complicated mess at the end of it all. Maybe that’s why it’s important to narrow down to just the best ideas and stick to something simple. And if you’re a little bit more intentional with your site, you will achieve excellence and increase conversions. Long story short: don’t over think or complicate the design. Here’s another big issue. How many pop-ups appear on your website? Let me be clear. Pop-ups are a great way of improving conversions on your website. But it can be a little annoying if pop-ups keep appearing every few seconds. At the very most just have an exit popup that personalized to an individual to give them one last chance to convert before they leave the page. This makes the pop up feel more like a welcome feature to the customers and less like a nuisance. Good design should help users find what they need easily. Gone are the days when people could sit down and read every single content word for word. Things were a lot more relaxed then and people had the time to catch a breath as they enjoyed a good read. Now, things are a lot more different. Things are a little more fast paced and with so many things to get to, 79% of web readers scan rather than read through the whole text. And to draw people’s attention, you need to use a lot of white space. You may be wondering what fonts have to do with anything. The short answer: everything. You have a few seconds to grab your customers attention and convince them to stay on your website. And so you need to make a good first impression. Anything too small and they leave right away. So you need to make sure that your fonts are large enough so that your readers don’t have to squint the whole time they are reading your content. Nothing appeals more to peoples emotions than color. In fact, it’s even more persuasive than words or images. However, understanding the psychology of color can in itself be an uphill task. One color may be interesting to one person and totally abhorring to another. So it’s a great strategy to not only understand the psychology of color but also to use more simple color palettes that won’t evoke a totally different feeling from what you’d intended. The final issue is that you are making common design violations. For instance, there are certain things that visitors are used to finding on a webpage. These include features like logos, taglines, and menus. Plus a contact page for when they need to reach you. This means that it’s a good idea to add these features on your UI design. But some website owners like to leave out some of these features and come up with more creative ways of displaying the menu. And while it’s a good idea to be creative with your design, in most cases it’s better to follow the design principles when designing your website. We all want a website that converts. But the key to conversions is optimizing your website for success. 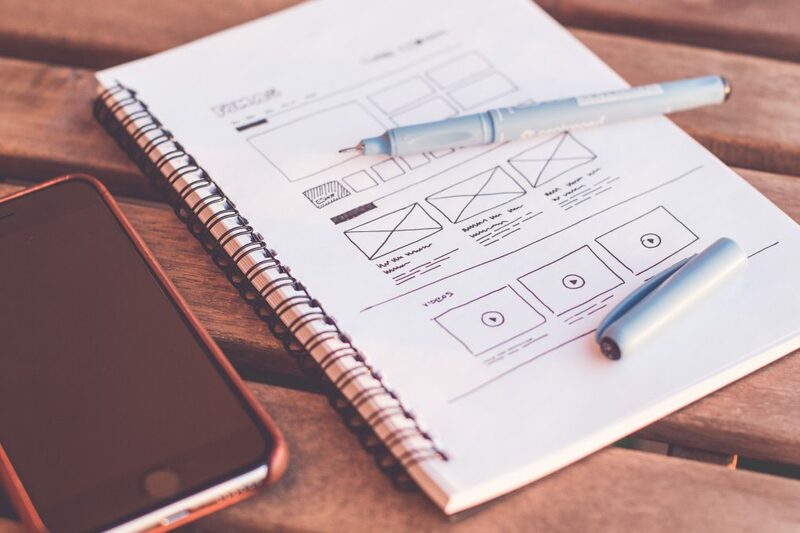 Hopefully, now that you know the common UI design mistakes that you’re making you can improve customer experience and optimize your website for success.